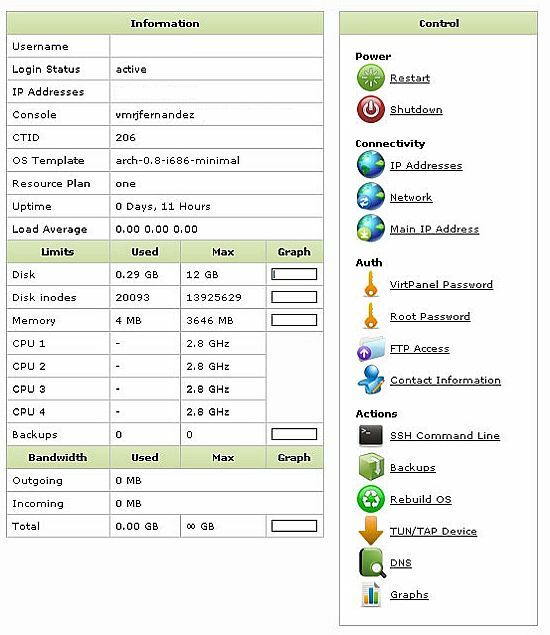 CRServers has just updated all its Virtual Private Server plans to use the feature-rich VirtPanel VPS Control Panel. With VirtPanel's flexibility and ease of use, CRServers will now offer better VPS plans that adjust more closely to the customers different requirements and price ranges. See available VPS Plans and more details. Progress bars showing the progress of an action.